To get 3,000 FREE Shop Your Way Rewards Points and KMarts Link Here click the LocalAd Points giveaway box on the right side of both of the links to get 3,000 points total that you can use between 12:00 AM and 11:59 PM CDT the following day. If you’re not a Shop Your Way Reward member you can sign up here for FREE. 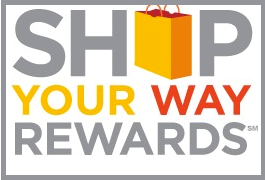 You can shop at Shopyourwayrewards.com. For a limited time, Shop Your Way Rewards Members who view your LocalAd get $1.50 in points (1,500 points) to use between 12:00 AM and 11:59 PM CDT the following day. Ask to redeem your points at checkout, in store or online. Limit one per member. By accepting Shop Your WaySM member benefits and offers, you agree to the Shop Your WaySM terms and conditions, available at shopyourway.com/terms. The first 8,000 members to view the LocalAd each day and click “get started” will be awarded $1.50 in points (1500 points) to use between 12:00 AM and 11:59 PM CDT the following day.